PlayMakers: Movement coach and resident choreographer in her third season. As director/choreographer, Tracy Bersley has worked at such institutions as Lincoln Center, The Public Theater, BAM (Brooklyn Academy of Music), The Lortel Theatre, Primary Stages, McCarter Theatre, Williamstown Theatre Festival and many award winning Off-Broadway companies, such as The Civilians and Red Bull Theatre. She has served as professor or guest artist at Yale School of Drama, Princeton University, New York University, Purchase College, Columbia University/Barnard College and The Juilliard School. 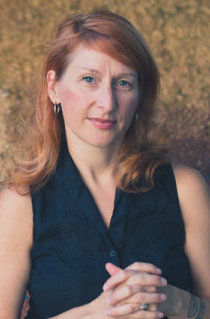 Tracy received her MFA in Directing from Syracuse University and is currently the head of movement for the Professional Actor Training Program in the Department of Dramatic Art at UNC-Chapel Hill, a member of Stage Directors and Choreographers Society, and a Drama League Fellow.